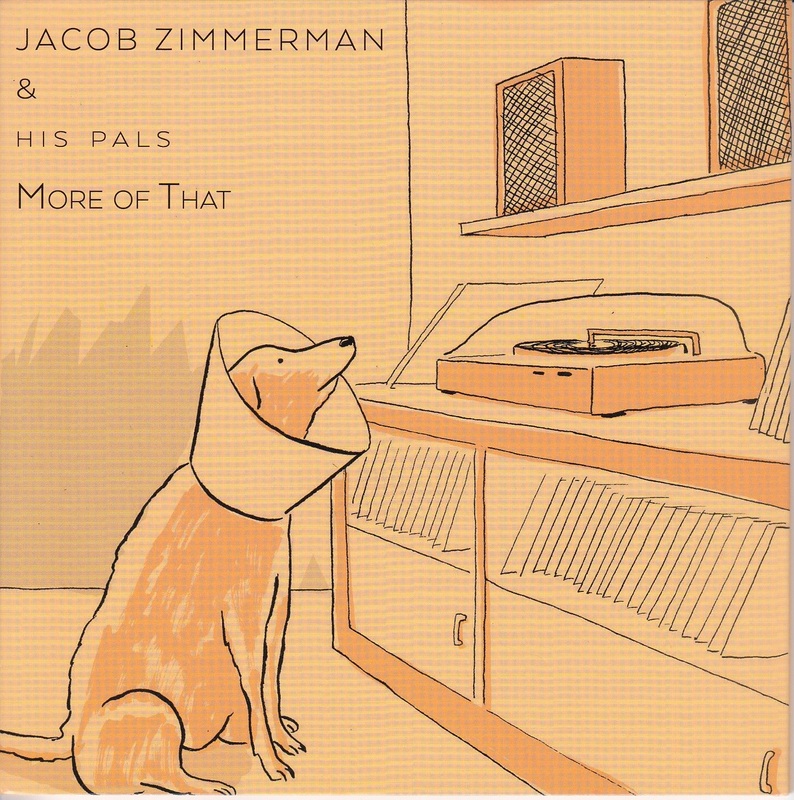 More of That is a small group swing recording by Seattle based Jacob Zimmerman. The bandleader's 'pals' are seven strong; guitarist Josh Roberts and bassist Matt Weiner working alongside like-minded musicians (trombone, guitar, piano, drums and vocals) on twelve numbers with a total playing time of forty-one minutes. Zimmerman's 'old school' alto saxophone and clarinet playing recalls the swing era and it comes as little surprise to learn that he will happily play an engagement for twenty-first century swing dancers. Four of the album's twelve sides are Zimmerman originals including the title track More of That featuring the bandleader's warm, bluesy clarinet. Pianist Ray Skjelbred's The Blues for Sir Charles captures the essence of a Basie soft-shoe swing intro with Josh Roberts occupying Freddie Green territory. Much of the material on More of That comprises tunes written in the first three decades of the twentieth century. 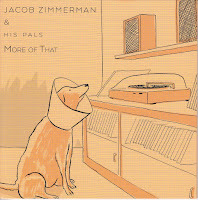 In a Shanty in Old Shanty Town (Ira Schuster/Jack Little/Joe Young) is a typically choice selection from the period; Zimmerman's relaxed alto, similarly Christian Pincock's measured trombone contribution, the ensemble sound exemplary. This is a most excellent CD - all the young musicians are top class, and totally rooted in the great American jazz tradition. I've seen Jacob play at US festivals with different line ups, and really loved his style - that's why I bought his CD, and passed it on to BSH for their review! I'd highly recommend it too, and by the way, it's also available on CDBaby.